News about tropical timber has recently been intense, with various media denouncing practices still questionable in the field of tropical timber. 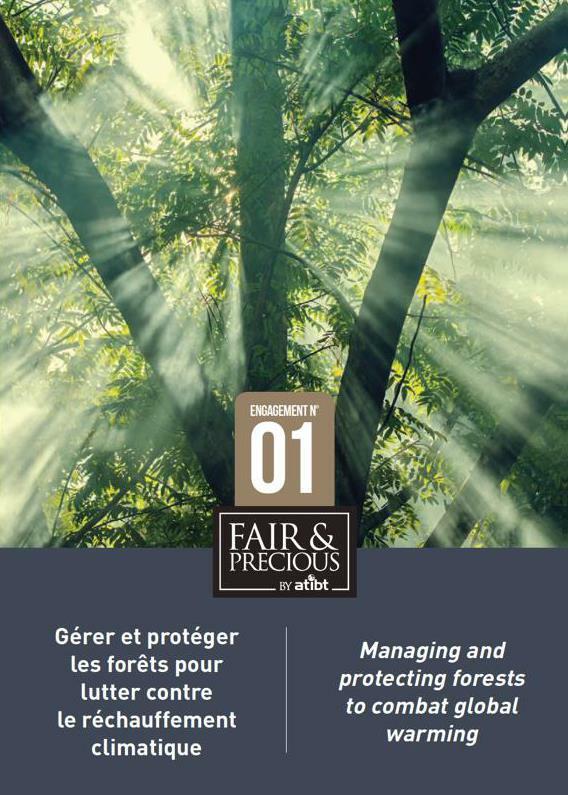 With this Fair & Precious campaign, the ATIBT wishes to highlight and support Fair & Precious forest stakeholders, FSC or PAFC certified, and strongly committed to sustainable management and the fight against illegality, and of course deforestation. The Fair & Precious brand aims to strengthen the knowledge and visibility of sustainable management certifications of tropical forests. These certifications are FSC and PAFC-PEFC. The deployment of the brand has entered an active phase since the beginning of the year, including the strengthening of press relations and the launch of Archi Expo e-mailing campaigns. The membership of ATIBT member companies and the search for new partners is a priority; it was first necessary to increase the awareness of this initiative of the Association. On the press relations side, following an agreement between ATIBT and the Open2Europe agency, this one continues its work with the European press. Thirty new articles have enriched the 2018 publications. Many contacts have been established with a large television group. A press trip could be organized by the end of 2019 in a certified forest concession, member of Fair & Precious. In addition, the production of 8 video clips is currently in progress. They will resume the main themes of our campaign “African woods, more than wood”. These clips will be published on ATIBT and Fair & Precious sites and will feed social networks. They will also be available to Fair & Precious forest managers and official brand partners. Finally, the ATIBT will improve the management of social networks, make themselves better known among them, and increase the e-reputation of the Fair & Precious brand, in order to give it more visibility, to attract membership, to have access to responsive media to respond to news.